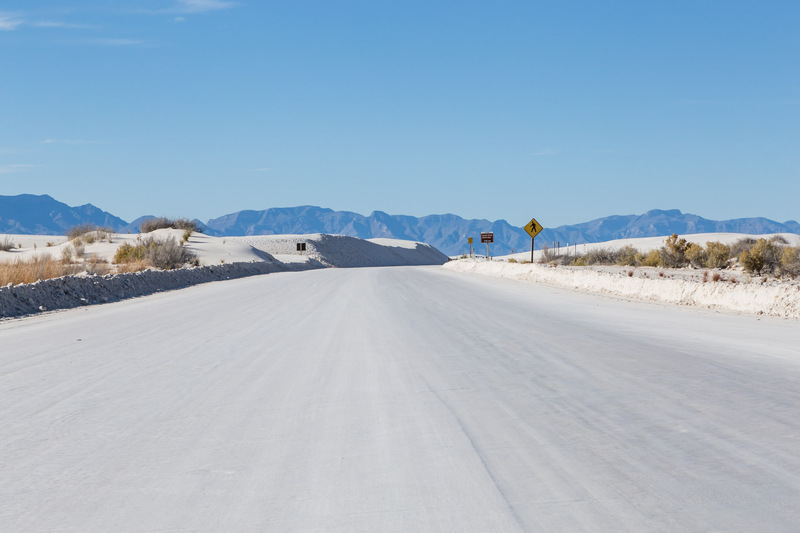 Just recently we went on a road trip to White Sands National Monument in New Mexico and learned what it’s like to travel to a harsh but amazing landscape! Now the whole point of our trip was to backcountry camp at White Sands and we will be discussing our experience with that in future posts. We also have tons of photos that we will be sharing…but today we just wanted to share a brief overview of traveling to this breathtaking locale as well as travel tips that will help you stay safe and happy! 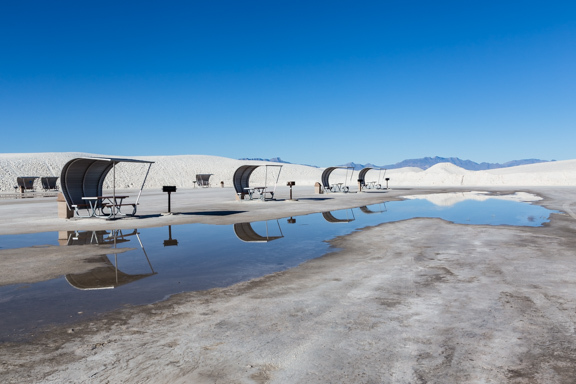 Check out the White Sands National Monument website…it’s an interesting read. We do this for all national parks we visit, but we found perusing this site to be even more essential because they often close for missile testing because there are military bases nearby. You definitely don’t want to drive down there and find that the gates are sadly closed! Also they have great information about weather, hours, fees, safety tips, etc…information that will definitely keep you prepared. Consider staying in El Paso…it’s a quaint little, big city. So we went on a road trip from our home in Austin which is about 10 hours away…a long drive, so we stopped in El Paso, Texas the night before we headed to White Sands. Whether you are driving or flying in, we definitely recommend El Paso as a home base because it is a major city that is only about 1 and 1/2 hours from the park. Plus, El Paso is a unique place to visit right on the border of Mexico and New Mexico! Pack parkas and tees. We visited last week which was mild during the day…like 60 degrees Fahrenheit (about 16 degrees Celcius) and below freezing at night. It was brutally cold once the sun went down! Now when we’re talking about day time, it can get hot even if the temperatures don’t reflect it because the white sand coupled with the sun makes it feel warmer than it really is. And if you plan on visiting in the summer, be careful…it can be more than 100 degrees Fahrenheit (about 38 degrees Celcius) there! Pack gallons and gallons of water. Now this surprised us quite a bit because we only hiked for a short period of time before we started feeling dehydrated! Both of us have hiked miles and miles of deserts in the past, and this place definitely was one of the worst in terms of hydration needed. Think of Death Valley in California…it is sort of like that because there is nowhere to hide from the sun which means you should stock up on bottles of water! Pack those tasty hiking snacks. One of the things we learned when we were there is that hiking in these sand dunes is a serious workout which means you will burn tons of calories! We love that, but it also leaves you hungry all the time. Be sure to pack those portable snacks that fit nicely in your backpack. Plus, they will be lifesavers if you do get stuck or lost in the dunes. There are very few plants and animals that live there…making it quite hard to forage for food if it comes to that. Pack your safety essentials. 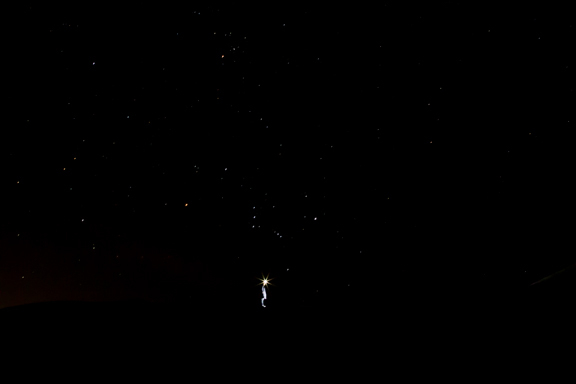 Light source, whistle, first aid kit, space blanket, matches or lighter…seriously don’t go out hiking into these dunes with out these things! You never know what can happen in nature especially ones covered in sand. Gas up. Gas stations in New Mexico can be few and far between. We like to fill up on the Texas side of the border because gas tends to be a bit cheaper. When we were there it was about $1.77 per gallon! Pick up anything you forgot. We tend to forget to pack some things, and we don’t always remember them until we are well into the trip. So to avoid that “Oh, no I forgot something” moment…it would be wise to check and recheck your travel essentials and buy anything you may need! Leave early. This park closes before the sun goes down because people can easily get lost in the night…so leave early so you can spend an ample amount of day time in the dunes! The Visitor’s Center is the first stop. They have very helpful park rangers who can answer all your questions you may have before stepping into the vast desert landscape! We are those types of people that love to gain any and all information about the places we hike, and this center certainly provided us with that. Also if you’re camping, you need to sign up for a backcountry camp site there. Bring or rent a sled…yup, a sled. We have heard that people love sledding here! We didn’t try it, but we certainly saw many people having a great time sliding down the dunes. It looks like it would be a lot of fun, so bring a sled or rent one from the visitor center! Go on a hike, but don’t go off trail. White Sands is one of those places that is very easy to get lost…everything looks the same and the signs are small against the horizon. If you go off trail, it would be definitely hard to find your way back especially because the park is only one small portion of the massive 275 square miles of dunes! It is definitely best to stay on the trail. Water is your friend. This part is really important because based on our research, there have been people who have died in this park by getting lost and not having enough water in the middle of the summer. The most recent incident happened this past summer, so it is very important to stay hydrated! Enjoy. This place is one of a kind! It is the largest gypsum dune field in the world…so take lots of photos, take in all the peacefulness, and enjoy! 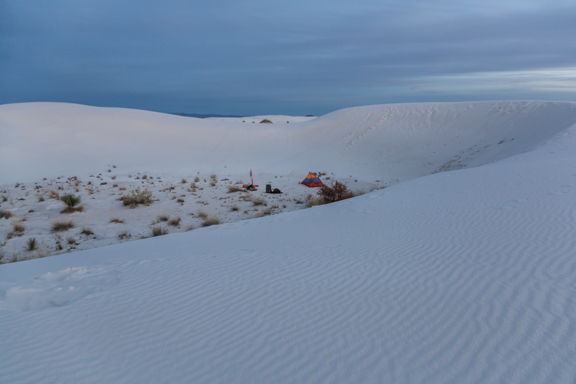 Have you ever visited White Sands National Monument or any other place that has sand dunes? Leave a comment…we would love to hear what you think!